Below is Part Three of OstenArd.com’s interview with speculative fiction writer Tad Williams, author of the “Memory, Sorrow and Thorn”, “Otherland”, “Shadowmarch” and “Bobby Dollar” books, and who recently announced the completion of the first draft of The Witchwood Crown, the first volume of a series of sequel novels to his classic “Memory, Sorrow and Thorn” trilogy, called “The Last King of Osten Ard“. The Witchwood Crown is tentatively slated for a Spring 2016 release. 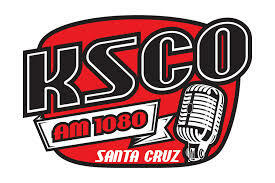 Part One of the interview is here. Part Two is here. The below questions were asked by readers on the Tad Williams Message Board and OstenArd.com contributors. In this part of the interview, we asked Williams how his main characters from Osten Ard compare to Bobby Dollar, if he has any plans to ever return to other worlds he built, and if he ever regrets his decision to wander back into the thick of things in Osten Ard. 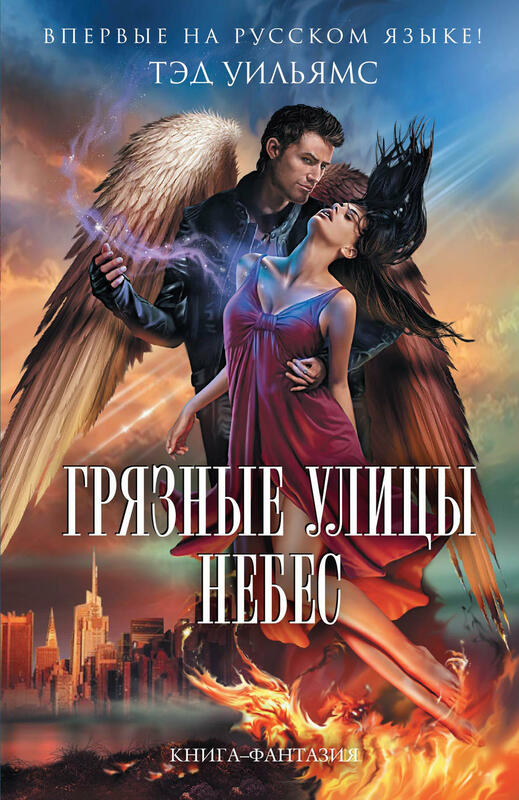 Cover of the Russian edition of The Dirty Streets of Heaven, the first “Bobby Dollar” book. OstenArd.com: Tad, your most recent main character, Bobby Dollar, seems pretty cynical sometimes, but his actions are unfailingly that of an optimist. “Of course I’m going to go to Hell to save my new girlfriend (who’s not really my girlfriend)!” Simon’s journey was from a youthful idealism (or even, some might say, cluelessness) to adulthood with a good measure of earned wisdom. How has Simon’s worldview changed with the passage of time? Would you describe him as an idealist or optimist? Does he have anything in common with Bobby Dollar’s cynicism, now that he’s been around the block a few times? 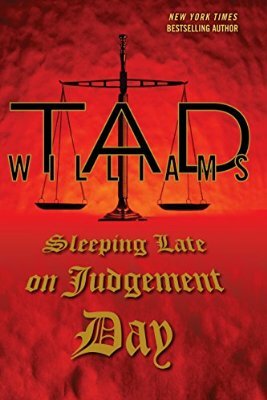 Tad Williams: Simon is still much more of an optimist than Bobby, but part of that comes from him resolutely refusing to dwell on the worst things in life. That doesn’t mean he ignores them, but he is more determined not to let them dictate his everyday life than, say, Miriamele is. I think I myself am a wounded romantic by nature, an optimist with a cynical sense of humor, rather than a cynic per se. Simon is, I hope, an older version of his younger self, thus more pragmatic, less surprised when things don’t go well, and more aware of how hard it is to change the world. In some ways, he’s probably less of a romantic than Bobby. Tad Williams states that Simon Snowlock is less of a cynic than his wife, Miriamele. Possible plot point? 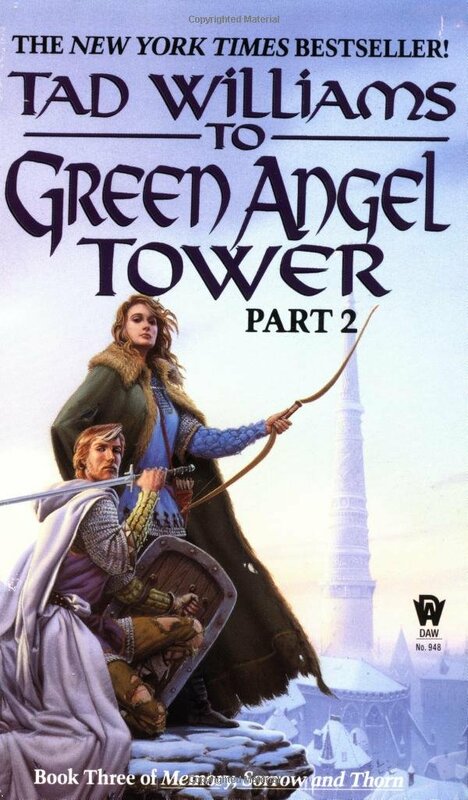 OA.com: When you reread “Memory, Sorrow and Thorn” in preparation, was there anything, about the plot or the worldbuilding or the characters, that made you think, “I wish I could rewrite this”? Or on the other hand, something that you’d maybe forgotten about and that surprised you in a positive way? No, I always have ambivalent responses when look at my own work. Most of my flinch moments come from what I see as prose issues — too many commas, too flowery when not necessary, etc. — rather than story choices. I think I’ve always had a pretty good grasp of story and character, so the main things I see that I wish I could change are almost always technical things about the writing itself. On the other hand, I’m always pleasantly surprised when my older work isn’t as lame as I sometimes fear it might be. 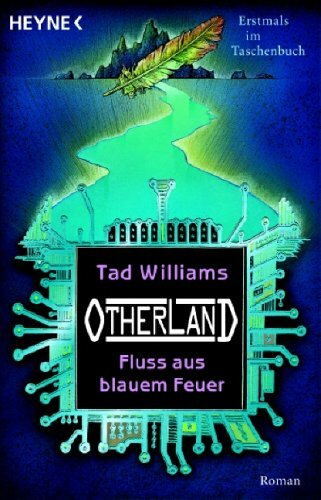 Cover of River of Blue Fire, second volume of “Otherland”. 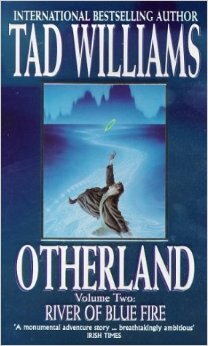 OA.com: You’ve said that you are interested in writing some more Orlando (from “Otherland”) stories. Do you think this desire might turn into a book or even a new series? Is there any particular Otherland sim you would like to revisit and flesh out more? Tad: It’s not so much any one simulation as that I’d like to 1) make more simulations, 2) explore how the Otherland network is changing as it becomes more “alive” and self-aware, or at least self-regulating, and 3) I think Orlando’s situation is interesting in and of itself, as detailed in “Happiest Dead Boy”. Plus, I’m interested in the idea that some of the artificial life-forms (or semi-life-forms) in the network might want to bring Dread back, for weird pseudo-religious ideas of their own. Tad: Every goddamn day. Especially when I’m trying to remember history and stuff from the first volumes, which is all the time, instead of just being able to make things up from scratch. But as mentioned, it’s also a really fun challenge. Not to sound like a complete sap, but that’s a big part of what I love about writing, too. I know I won’t please everyone, but it will be fun to see if I can at least please a few people. OA.com: Readers are re-reading “Memory, Sorrow and Thorn” far and wide in anticipation of the new books. And their responses seem uniformly positive. Do you think “veteran” readers of MS&T will enjoy the new books just as much? Why or why not? Tad: If anything, I have to work hard to make sure these books are as much fun for new readers as for the old readers, because there is so much old history, and so many old characters and plotlines to plug into. I think the veteran readers will have no problem with these because there is a LOT of continuity despite the decades passed. Editor’s note: the interview with Tad Williams will conclude with Part Four.